Basically this bill would allow those aged 18-20 to drink legally if they are accompanied by a responsible adult. This means they could drink in a bar with a spouse, parent or friend who is over the age of 21. It allows them to legally partake in alcohol consumption without the fear of legal repercussions. If you talk with a DUI lawyer in New Hampshire or many other drunken driving advocates, you’ll find that the higher drinking age leads to more binge drinking in teens. Teens using alcohol may just not understand their limits and the affects it can have on them. On the other hand, other countries have noted that when the legal age is at 19 or below, they actually have fewer occurrences of teen binge drinking, alcohol poisoning, and car accidents. Because the teens are legally able to enjoy alcohol, they do not feel the need to binge and take a huge risk with doing so. Binge drinking can lead to alcohol poisoning very quickly, and if not treated it can have fatal consequences leaving families devastated. 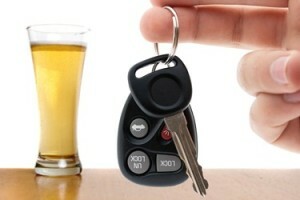 The law itself would also make the limit for these young adults who choose to drink .05. That is less than the legal limit for those over 21, so binge drinking is still illegal. What do those who oppose it think? There are mixed opinions on this law across the community including everyone from the DWI attorneys to parents and the police force. Some are in favor of it claiming it would help to reduce the teen alcoholism that can be so prevalent. Others are adamant that this type of regulation would see an increase in the deadly drunk driving accidents that take place each year. The New Hampshire communities are on both sides of this regulation with those for it and against it. Some who are in favor state that this is not necessarily about being able to drink but it’s more of a “civil rights” issue. When a teen hits the age of 18 he or she is allowed to join the military, but they can’t come back home and celebrate or chat with family and friends over a beer. This is one of the reasons some of the representatives are on the side of pushing this bill through. This is a very sensitive subject for most who may have teens. The drinking age in the New Hampshire was lowered in the 1970’s to 18, but was moved back up to 21 about 30 years ago. No matter what side of this bill you’re one, there’s a lot to consider before this passes.